In May 1974, after the Tales from Topographic Oceans tour in support of their ambitious double album Tales from Topographic Oceans (1973) ended, keyboardist Rick Wakeman decided to leave YES as he could not understand its concept and disagreed with the musical direction the band took. The band’s line-up during this time included singer Jon Anderson, bassist Chris Squire, guitarist Steve Howe, and drummer Alan White. While the band started writing and rehearsing for Relayer, several keyboardists were auditioned including Greek musician Vangelis. At the suggestion of music journalist and author Chris Welch, the band invited Swiss-born Patrick Moraz of Refugee to a try out session at Squire’s home in August 1974. Moraz used Vangelis’s keyboards for his first session. The band liked what he did, and Moraz subsequently joined full time. Relayer was recorded between August and October 1974 at New Pipers, Squire’s then home in Virginia Water, Surrey that he bought in 1972. 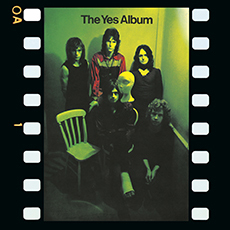 This marked the first time YES had recorded a studio album outside of London. Eddy Offord assumed his role as the band’s engineer and moved his recording equipment into the garage to make a temporary studio. The album’s production duties were shared among Offord and the group. The album was then mixed at Advision Studios in London. This is the only version of Relayer to have been completely remixed from the original multitrack tapes since 1972. In keeping with all the other releases in this series, Steven Wilson’s approach for new stereo & 5.1 mixes is to faithfully retain the spirit & sounds of the original album mix, while applying modern mix techniques to bring further clarity to the individual instrument, vocal & overdubs for each track. The songs, instantly familiar to a multitude of Yes fans, remain so, with the new mixes – especially in 5.1 form – providing a greater sense of space for each voice to be heard. Anderson’s voice seems to join the listener in the room, Howe & Wakeman’s solos glisten with clarity and White & Squire remind all that they were unmatched as a rhythm section during that period. The original 1974 Eddy Offord mix recorded directly from the original master tape with no additional EQ. A complete ‘Alternate Album’ made up of alternate studio run-throughs of the album tracks. Demo and live recordings of Sound Chaser. The 2014 Stereo Instrumental Mixes. Needle drop of an original UK pressing of the album. Needle drop of an original US ‘Promo Album’. Relayer Remastered in 2003 from the master tape of the original 1972 Eddy Offord mix. This Remaster of Relayer is also available as part of the ‘Studio Albums 1969-1987‘ Box Set at Amazon. Relayer is also available as part of the High Vibration SACD Box Set at Amazon. August 1974: Patrick Moraz was drinking a cup of tea and waiting for YES to arrive at their rural rehearsal room. The Swiss keyboard player who’d made an impact on the music scene the previous year with ex-The Nice outfit Refugee had been invited to attend a “rehearsal”, as YES manager Brian Lane had somewhat coyly put it. Of course, Moraz knew this was in fact an incredible opportunity for an ambitious player who also happened to have been a fan of the band since their 1969 debut. “I was talking with the road crew who: were looking after the place and as I looked out across the field I saw Alan White in his sports car – it was a special customised thing,” recalls Moraz. “Then Steve arrived in his metallic blue Bristol sports car, driven by his roadie. Then Jon came in an old-fashioned and rare Bentley, and then Chris arrived in what I think was a Rolls Royce Silver Cloud. For me, coming from Refugee, where we had been walking three miles to and from our rehearsal place in Bayswater, I can tell you it was quite a contrast!” It’s interesting to speculate which other keyboard player at – the time could have fitted the bill in YES. After Rick Wakeman’s much-publicised split with the band, the space amidst the array of keyboards was one of the most visible spots on the concert stage in the 1970s. Under Wakeman, playing keyboards with YES had evolved into a role subjected to intense scrutiny and expectation from the band, critics and fans alike. Before Moraz, ex-Aphrodite’s Child member Vangelis Papathanassiou spent time with the band but the partnership failed to gel. Given his flamboyant playing style, deep musical knowledge and expertise at arrangements, not to mention his ebullient stage presence – he was not averse to hauling out a 13ft alpine horn and blowing a fanfare out of it – Moraz really was the obvious choice all along. Moraz recalls when they started playing they took him through the song section of Sound Chaser. “They played it at an unbelievable speed that defied all logic! I was flabbergasted. Then Jon asked me what I’d offer as an introduction to the piece. I instantly played the opening theme as it appears on the record.” Everyone in the room was immediately galvanised by what they heard, asking Moraz to explain what he’d done, clearly keen to incorporate it into the piece. “I explained the rhythm to Alan and Chris so they could work out the answer to the keyboard’s call, as it were. I even suggested to Jon that he use his flute, to which I could play these little fast clusters.” It was Eddie Offord’s practice to record everything on the mobile 24-track studio in the room thus ensuring not a moment was lost. “We did a few takes, starting slowly and then getting it up to required speed and then we recorded the introduction in a take that was used on the finished album, before I was formally offered the job!” Later that night a telephone call from YES‘ management confirmed Patrick Moraz as the third keyboard player in the band’s history. Anderson’s musical concepts for The Gates Of Delirium took all of his considerable powers of persuasion to convince the rest of the band that the piece was viable. As the newest member of YES, Moraz embarked on a steep learning curve, not only assimilating the material being developed for Relayer, but the YES repertoire he was required to play out on the road. “At night when I used to come back from rehearsals, I used to write down on huge pieces of paper of all these symphonies – I’m calling them symphonies in an etymological sense because the arrangements didn’t just have melodic and lyrical content, everything with YES seems to be contrapuntal and harmonic. In the counterpoint it changes radically and very dynamically – that’s what makes YES so unique; everything is encompassed in the arrangement and every note is absolutely critical.” After learning all their parts, Moraz states he has nothing but the utmost respect for the detailed work of the keyboard players preceding him. The urgency and sheer velocity of the music transferred itself to the production schedule. As soon as mixing was completed at Advision Studios in October, the band decamped to America to embark on a sold-out tour in early November. With a set list that took in all of Close To The Edge, as well sides from Tales from Topographic Oceans, the new album was given the prime slot following the strains of Stravinsky’s Firebird Suite. “Sound Chaser was always a blast to perform; says Anderson. Such was the momentum of the band at that point that audiences eagerly embraced the new material, ensuring it secured slots in the top five of the album charts on both sides of the Atlantic when it was released in the winter of that year. With Relayer riding high, YES were greeted as conquering heroes in what amounted to a vast triumphal procession around North America and, later, Europe. YES had always required their listeners to take a leap of faith, calling upon them to follow the group into uncharted or at least uncertain territories. Though significantly shorter than its predecessor, Relayer is just as multi-faceted and in its own way just as much of a challenge. The world Relayer inhabits includes many recognisable features, the most obvious being Roger Dean’s striking cover artwork, but it also included some of their most angular music up to that point. From The Yes Album through to Tales from Topographic Oceans, the band’s progress and capacity to assimilate and harness the differing ideas and influences appears measured and incremental, each one building upon the Successes and lessons learnt from its predecessors. In this context. Relayer is perhaps the most radical of them all. While structurally resembling the three-track running order of Close To The Edge, such echoes are merely coincidental, says Anderson. The adoption of an overtly jazz-rock vocabulary that wouldn’t have sounded out of place in Return To Forever or Bundles-era Soft Machine adds to a sense of newness. However, in addition to opening up new rhythmic seams, perhaps more than anything it’s Howe’s choice of Telecaster as his principal instrument that lends Relayer its distinctive and starkly assertive qualities, pushing YES away from its plushly orchestrated comfort zone. From the penetrating jabs prior to the Listen sequence and the galloping solo in the battle section of The Gates Of Delirium, to the dazzling cadenza that erupts during Sound Chaser, Howe strikes out beyond his masterly touch of light and shade, cutting through the layered arrangements with unparalleled aggression. At the other end of the sonic spectrum, his use of pedal steel guitar smartly appropriated the aching qualities of an instrument more traditionally associated with country music. Its fluidity perfectly articulates the emotional yearning underlying the final coda of Gates and, in To Be Over, adds depth and warmth. As well as harbouring YES‘s gentler inclinations and its resemblance to the grandeur of And You And I, it also points toward elements that would later inform Awaken. Relayer also sees Squire’s muscular combination of driving both time and melody simultaneously make for exhilarating listening. At almost any point on the album his playing ascends lyrical heights (especially his use of Fender bass on To Be Over) and swoops down into the very substance of the pieces, often switching between these two modes within the space of a few bars. If Tales from Topographic Oceans saw Alan White being thrown in at the deep end, with Relayer he consolidated and confirmed his position as a creative force in his own right. His work here represents a significant leap forward not only as a composer but as a featured instrumentalist. The minute-long dialogue between the drummer and Moraz at the start of Sound Chaser brilliantly ramps up the impact and excitement of the track. 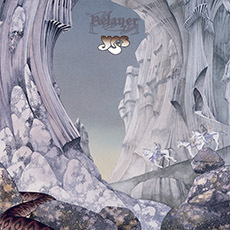 Looking back, Anderson confesses that in the overall canon of YES albums, Relayer was never one of his favourite recordings, though as he points out, not necessarily because of the material. “The finished mix never sounded as good as when we were recording the music. In the battle scene we had so much happening musically and sonically, we needed surround sound to realise the concept. Forty years after it was released, Relayer can now be heard the way Jon Anderson envisaged it. Proof once again that time and patience are indeed the strongest of all the warriors. Create our freedom, a word, we utter a word. Listen should we leave our children? In the summer of 1969 YES released their first record. It was appropriately called ‘Yes‘. And the record buying public said “yes,” too. Thereafter, the group began to move a little faster to get around a little more. They were being heard. They were being seen. They toured Ireland. And in December 1969 the glaciers and valleys of Switzerland were reverberating with their live music as YES made their first continental appearance. YES had survived their first year, were playing better than ever, were now in demand. June 1970 saw the departure of the lead guitarist. And so Steve Howe joined YES. Steve was soon astounding audiences with his solo piece “Clap” Before long Steve and Jon were putting heads and hearts together to create the kind of music for which the group have become renowned. This partnership has grown more fertile, more imaginative with the passing years and continues with undiminished creativity today. YES produced their second record, ‘Time and a Word‘, in 1970, and their third, ‘The Yes Album’, in 1971. By 1971 the group could fill a hall anywhere. In March of that year they undertook their first really intensive tour: America, of course. Upon their return to Britain, their keyboard player left. Then Rick Wakeman, already a star in his own right, joined the group, attracting a wider audience still for YES‘s music. Another record appeared: ‘Fragile‘. Throughout this period the style of YES‘s music had been evolving, becoming more subtle and more complex. 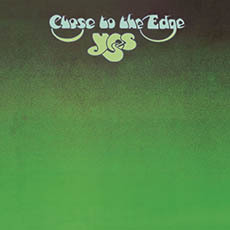 With the release of ‘Close To The Edge‘ in 1972, YES were widely acknowledged as a unique and uniquely creative and serious group. 1972 also witnessed the departure of drummer Bill Bruford. At the time this seemed an insufferable blow. The group were on the eve of their second American tour. How could Bill Bruford ever be replaced’? These were days of apprehension, unrelieved tension, for this new tour of America would be critical. It is at moments like this that destiny would seem to stretch out her hand and lead her creatures out of the whirlwind. Alan White sat down at the drums and accomplished something remarkable: he learned the group’s entire repertoire in three days flat and then, exhausted, boarded a plane with YES bound for America. The crisis had been surmounted. Throughout 1973 YES toured Japan, Australia, America and Britain. As if that was not enough, the group also recorded and released a triple album, ‘Yessongs‘, and ‘Tales From Topographic Oceans‘. At the beginning of 1974 the group were back in America, this time even packing Madison Square Garden. Not content to rest, they toured Europe once more. Both tours were superbly staged with sets designed by Roger Dean, who had been creating the group’s record covers since ‘Fragile‘. Principal compositions: Wrote on all YES albums specifically ‘Close To The Edge‘, ‘Tales From Topographic Oceans‘. Awards: Gold albums for: ‘The Yes Album‘, ‘Fragile,’ ‘Close To The Edge‘, ‘Yessongs‘, ‘Tales From Topographic Oceans‘. Own guitar compositions: ‘Clap‘, and ‘Mood For A Day‘. Awards: Gold albums for: ‘The Yes Album,’ ‘Fragile‘, ‘Close To The Edge‘, ‘Yessongs‘, ‘Tales From Topographic Oceans‘. 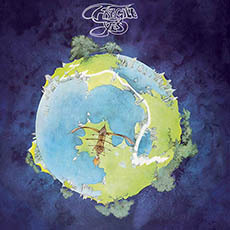 Awards: Gold Albums for: ‘The Yes Album‘, ‘Fragile‘, ‘Close To The Edge‘, ‘Yessongs‘, ‘Tales From Topographic Oceans‘. Awards: Gold Albums for: ‘Close To The Edge,’ ‘Tales From Topographic Oceans‘ and ‘Yessongs‘. and “Relayer” gold album 1975. Sound Mixer: I.E.S. 30 channel quadrophonic mixer with Eventide phasers and digital delay A.K.G. echo unit, custom built for Eddy. The lighting equipment used by YES was designed and built by Michael Tait. The total power of the system is in excess of 120,000 watts, and the main structure is supported by 2, “Air Lift” Pneumatic towers. The most important part of the system is in the controlled board, radio controlled remote operation, 2 programmed chasers, and stereo cigarette lighters. Music and religion are inseparable. There has never been a tribe of people anywhere – no matter how primitive – without music. There has never been a tribe anywhere without religion. There have been tribes without agriculture, without pottery, without writing, without the wheel, but none without religion or music. Just as religion addresses itself to feelings too deep for words – to the most human in most humans – so music is the means of that address. Religion and music appeal to the Invisible. Music’s invisibility is the visible evidence of its mystery. Tag your Relayer Instagrams #relayer to appear here.